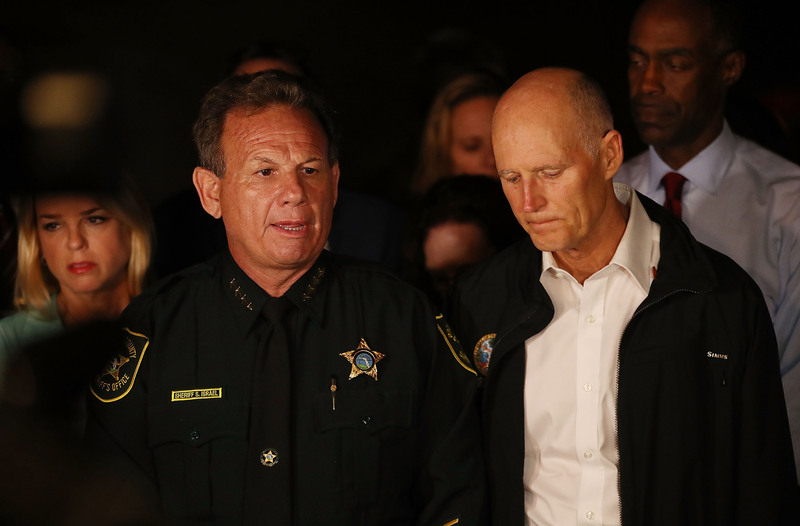 Broward County Sheriff Scott Israel has reportedly told his deputies that he’ll be suspended by newly sworn-in Governor Ron DeSantis — over his response to the Parkland school shooting. BSO’s union chief Deputy Jeff Bell reportedly told his staff that his dismissal was inevitable at this point. “We know that he is telling everyone at the public safety building that he is going to be gone,’’ Bell told the Herald. Last February, Nikolas Cruz opened fire at Marjory Stoneman Douglas high school killing 17 people. Israel’s sheriff’s deputies stood by as the shooter mowed down defenseless victims and have received immense criticism over it. Israel and his deputies were initially praised until it became known that the school’s assigned sheriff’s deputy, Scot Peterson, stood outside the building and failed to confront the shooter.